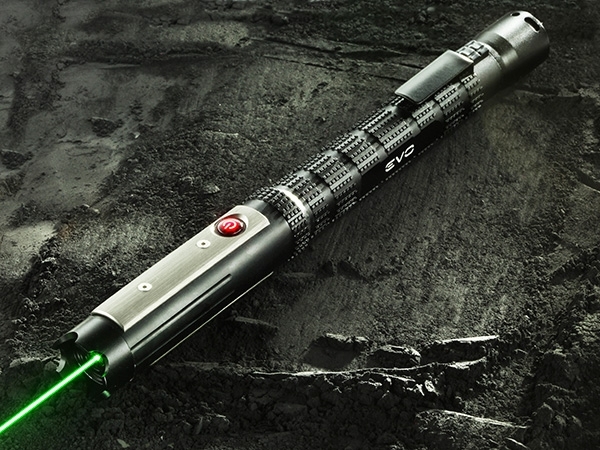 The Evo is an open-source tactical laser that is able to do what you command. Control your Evo wirelessly with your smartphone. Enjoy maximum versatility with fully variable power and 4 operating modes. Its PIC-compatible microcontroller is open source, so you can customize the user interface to fit your needs. It's open-source and smartphone-controllable, so anyone can create apps for it on iOS and Android. 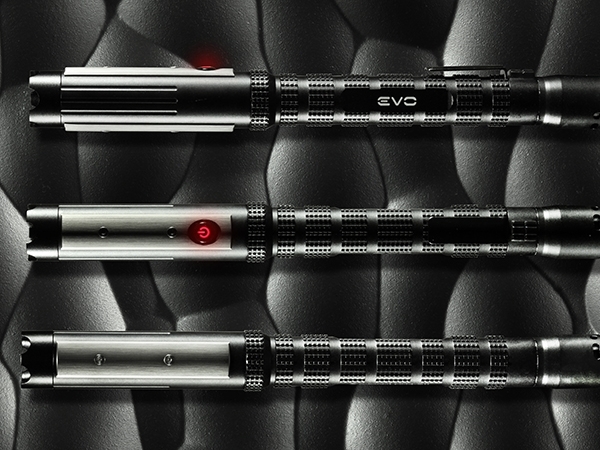 The Evo has fully variable power selection and 4 operating modes: momentary, constant, strobe, and bypass. There's even a hidden mode we like to call "Woz mode", requested by the great himself. The Evo is crafted from brushed and hard anodized aircraft-grade aluminum. It's easy to add or remove the Smartport from your Evo. 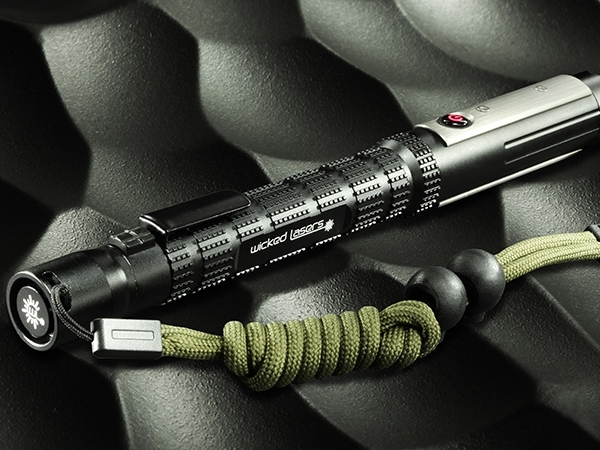 Powered by 2xAA batteries, the laser is simple to keep up and running even if you hardly ever put it down – and we’ve made it more versatile with it's rugged tactical lanyard. As the saying goes: "With great power comes great responsibility." 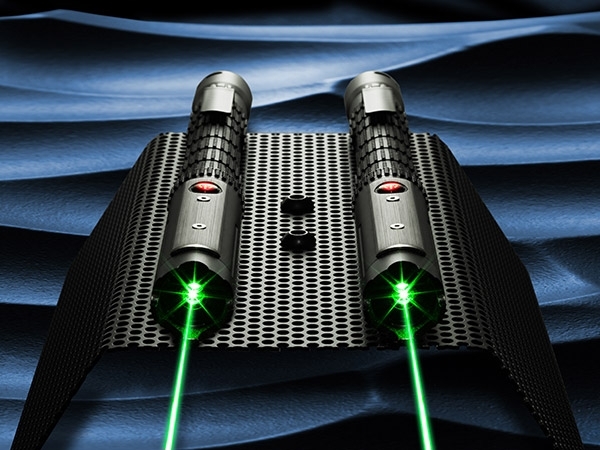 These powerful devices are not toys and are for adult use only, so we've built in cipher-locked SmartSwitch technology to give you full control over who can access your laser.